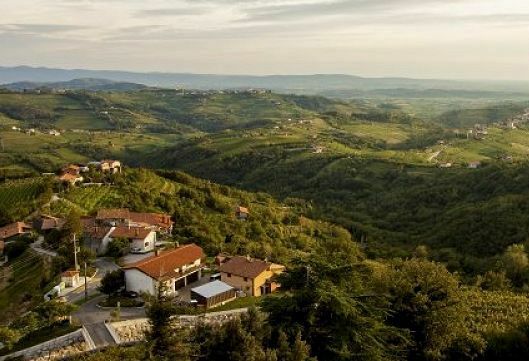 Brda, an idyllic region shaped by man, preserves its pristine and genuine character through numerous traditional holidays and impressive cultural heritage. 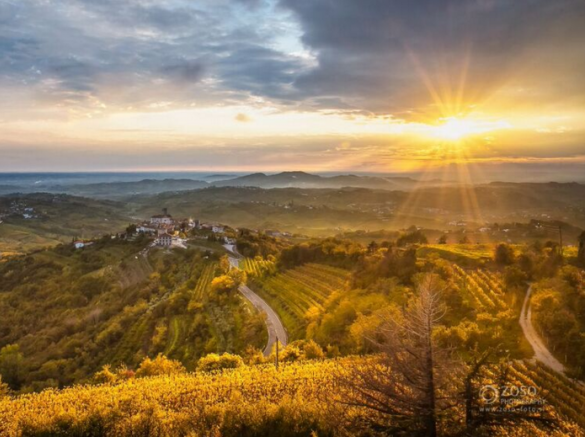 Come to Brda for a short stay or a vacation and create unforgettable memories that you will cherish forever. A perfect starting point for trips, the 23-metre Gonjače lookout tower offers incredible views of the stunning landscape stretching to the Adriatic Sea on the one side and the Alps on the other. 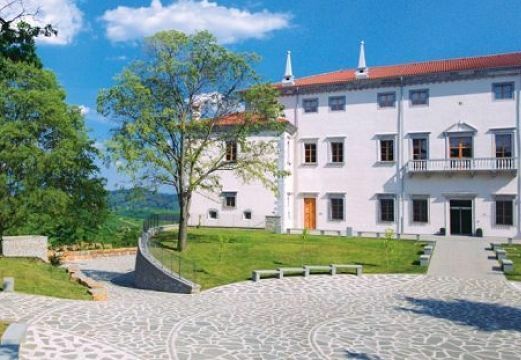 The late-Renaissance castle houses a permanent collection of works by the world-renowned artist Zoran Mušič, a museum collection of Count Baguer, a wine shop, a restaurant, a tourist information centre, and a souvenir shop. A scenic medieval settlement surrounded with a city wall features a church with frescoes by Tone Kralj, a museum, a gallery, and rich arts and crafts tradition. A stone bridge looming over the Kobanjšček creek and its majestic Kotline pools. The region’s fine white and red wines are a product of heroic viticulture – cultivation of vineyards on poorly accessible and steep slopes. Local extra-virgin olive oils are mostly made from old Brda varieties: the indigenous Črnica and Drobnica. When here, make sure you taste these excellent extra-virgin oils and take some of them home with you to prolong the fantastic experience. 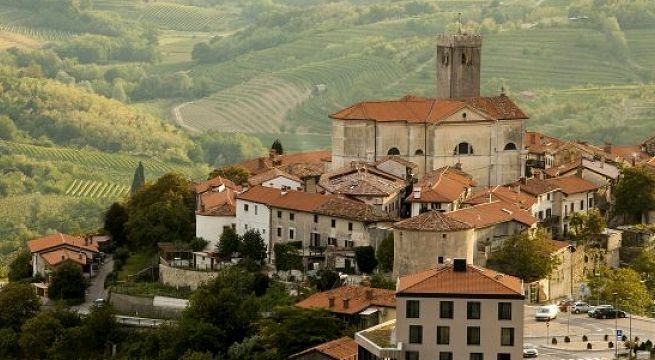 A cross-border hiking trail of three countries, Austria, Slovenia and Italy, will charm you with 700 kilometres of trails that connect stunning natural attractions, and the warm hospitality of its people. Visitors can explore the area of Brda by electric bikes, electric scooters or electric cars. A fantastic environmentally-friendly travelling experience.